May seems to be the start of all things summer and the May Birchbox is no different. Palm Leaves & Warm Breeze has me wishing I was sat beside a pool and the contents of this months Birchbox would make that very easy. 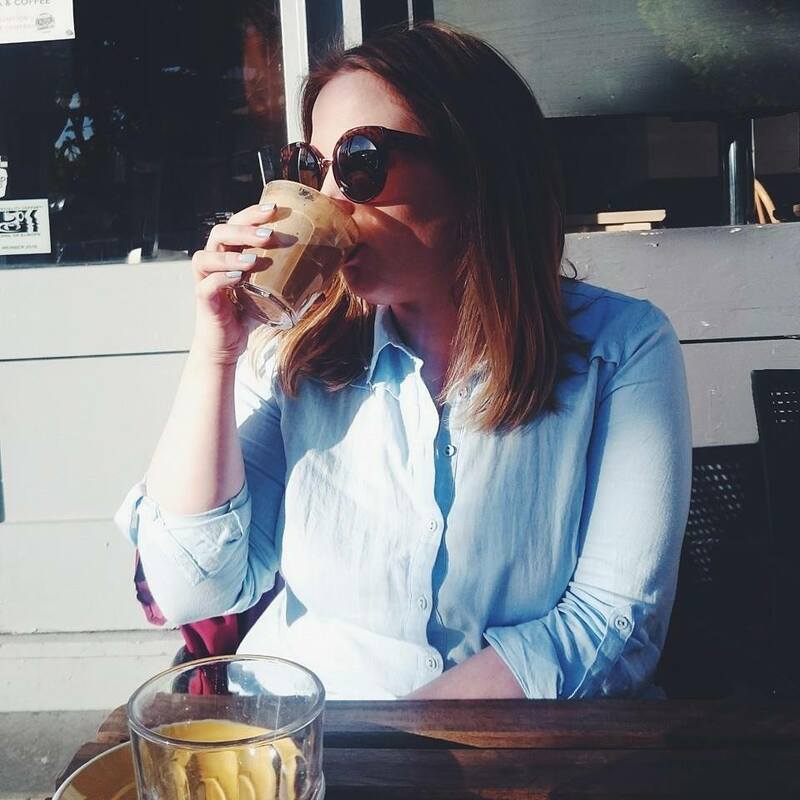 This month, Birchbox have teamed up with Elizabeth Scarlett, luxury homeware specialist and palm tree lover. 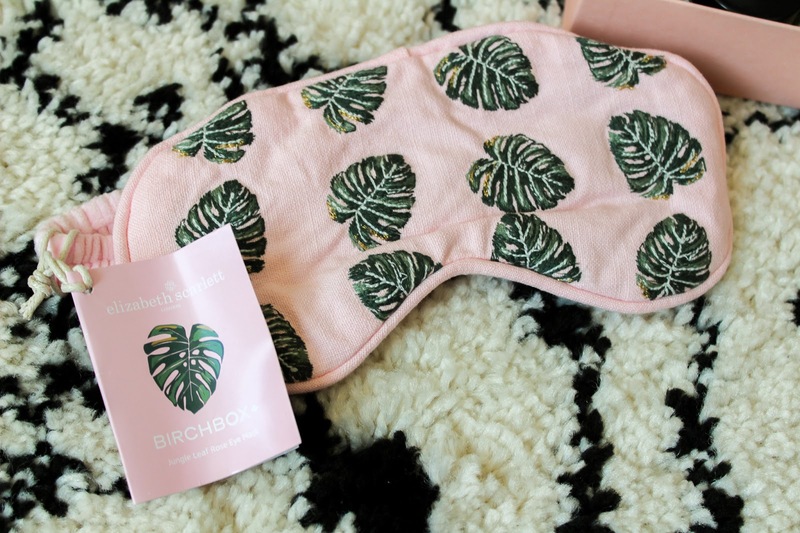 The box is adorned in a beautiful palm print and I also had a gorgeous sleep mask sent through to use too which is perfect for those twenty minute cat naps while bubba sleeps. You can purchase the Jungle Leaf mask on the Elizabeth Scarlett website where you can also choose from four different designs. Inside the box this month are five samples to take you from sleep mask to go getting woman in a few simple steps. The Greenfrog Botanic Botanical Bodywash in Geranium and Peppermint is the perfect shower pick me up, it instantly refreshes while leaving skin super soft. It's also cruelty-free, vegan and completely free from chemical nasties. 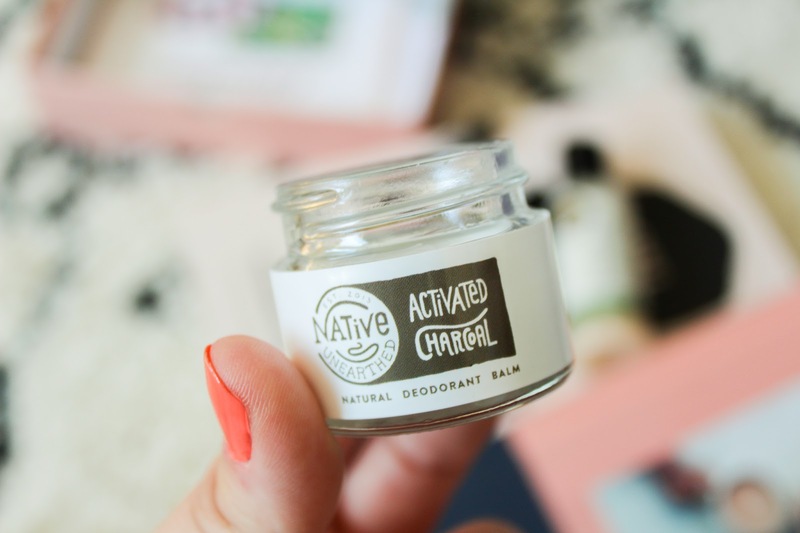 The next sample is the Native Unearthed Activated Charcoal Natural Deodorant Balm. This is something I would never usually try and it's one of the reasons I like Birchbox, I get things that are totally new and different to me. I haven't used it yet but bear with me, I'm gonna give it a go. Next up is the NUXE Aquabella Micro-Exfoliating Purifying Gel, a refreshing gel which helps give a luminous appearance to skin. It's packed with hyaluronic acid and leaves my skin feeling super clean. For makeup, we have two picks this month. The ever faithful Eyeko Skinny Liquid eyeliner which makes precise flicks easy peasy and the Doucce Luscious Lip Stain, which gives an instant pop of colour to lips. 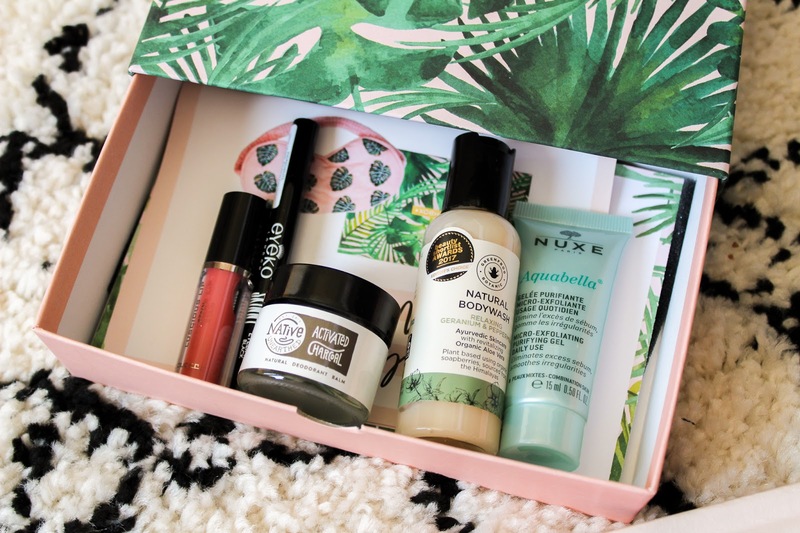 I really like the May Birchbox, everything inside the box is new to me and I love the way I get to discover so many brands I usually wouldn't each month without breaking the bank. Birchbox is just £10 a month plus £2.95 P&P, it's like a little treat to yourself each month. What do you think of the May Birchbox? What item would you like to try the most? This seems like a really nice box to use for a little natural pamper evening. Can we talk about how gorgeous that box is?! I'd most definitely be keeping that for storage! I love the box design! Great products this month! I really want to try birchbox it looks amazing. 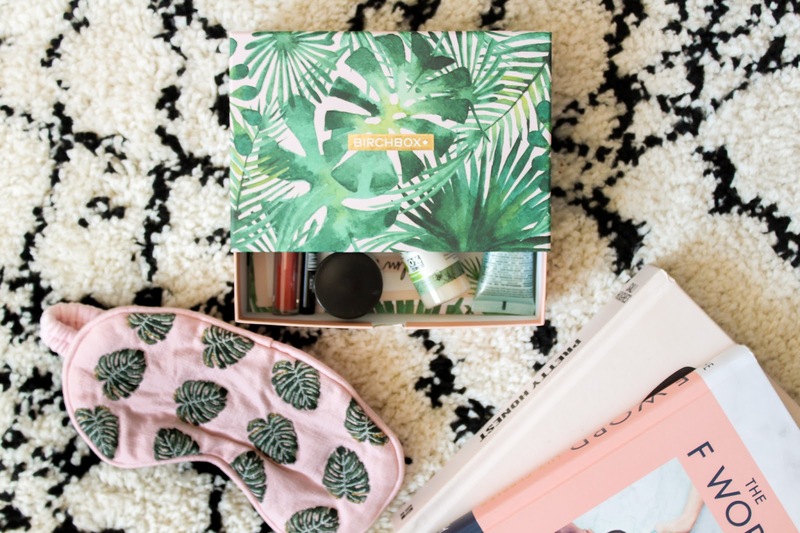 This box is right up my street too I love the cute eye mask! I love the cute eye mask! I love how cute this design is. That eye mask is fab!